news 10 : Fika, a Swedish custom where people gather to eat, drink, and talk, is a welcome workplace tradition in the country. But, as Elizabeth Hotson finds, it’s catching on around the world. In Sweden, it’s obligatory to eat coffee and cake. No, really. At many companies it’s mandatory for all workers, from Malmo to Stockholm, to have a designated time during the day to sit down and do fika. Fika — which roughly translates from Swedish as drinking coffee, munching sweet treats and chatting — is as much a part of the working day in Sweden as emailing and fixing the printer. It’s like going to the pub in other countries. Many Swedish firms have mandatory fika breaks and employees are given free hot drinks. But do all these regular chat breaks make for a more efficient workforce? There isn’t a caffeine index as such, but the Organisation for Economic Co-operation and Development (OECD) does publish productivity data. Analysing productivity by employee in 38 countries, 2014 data reveal Sweden comes in at a respectable number 11. Sweden’s coffee-quaffing neighbour Norway is the second most productive nation, behind champs Luxembourg, while the workhorses of the US are fourth. Long-lunching France is seventh — far ahead of Japan (20th) and Korea (30th), two countries known for long work hours. Andreas Astrom, from the Stockholm Chamber of Commerce, agrees. “Swedish management style differs to most other countries. It’s flat and not very hierarchical," Astrom said. "When you have flat structures it's important to listen to everyone and through the communal nature of fika, chatting between employees and management is encouraged. It’s a great way to get everyone’s views on how companies are run." If I can do this right, I can be another Richard Branson, become a fika billionaire. And more recently, the trend has gone global. These days the aspirational, affluent, New Yorker, Londoner or Sydney-sider doesn’t just pop out of the office for coffee — they might sneak 15 minutes and go for fika. It’s less about grabbing a shot of caffeine on the go and more about scheduling pauses in to the day. Lars Akerlund has built a business empire on fika. He relocated to New York City from Sweden in 2001, opening his first cafe, FIKA, near Central Park in 2006. He now has 17 cafes with another two on the way. One of the most popular menu items is a coffee and home-made cake or chocolate. It’s something that lends itself to savouring rather than devouring on the hop. So what inspired his burgeoning empire? Some people thought we were Swiss and asked for chocolate. Akerlund didn’t just want to bring great coffee to New Yorkers, he wanted to give them a new perspective on life. He got up at 4am every day to bake everything fresh. The coffee was from a speciality roaster in Brooklyn and chocolates were made on site. So how did New Yorkers react? Fika has also left its mark in Australia. While the sun shines on the improbably beautiful sand of Manly beach, Sydney, a little corner of Sweden sits snugly around the corner. In 2013, Fika Swedish Kitchen opened its doors to a bemused public, as co-founder Diana Chirilas explains. But attitudes are changing, Chirilas said. “Everything Scandinavian is trendy. There are Nordic movies and TV dramas, Swedish design shops have opened and people are curious," she said. In Walthamstow, suburb in London, Swedish café Bygga Bo has taken the idea behind Fika and extended it to incorporate an entire lifestyle. “Bygga Bo means ‘to build a nest’ and for me fika means cosy, relaxed and homely,” said Malin Hamilton, who opened the shop with husband James in 2013. A traditional fika consisted of seven homemade cakes. But is that overkill in today’s grab-and-go workplace? Husband James says there’s also been a change in consumers’ expectations, with people tiring of mass-market products and requesting one-off, carefully crafted goods. Iran has released 10 US sailors held for entering its territorial waters, in a swift resolution of an incident that tested newly-improved US-Iranian ties. They were detained Tuesday after one of their two vessels broke down during a training mission in the Gulf. Iranian state media said the group was released into international waters after apologising. It comes at a sensitive time, as the US and Iran try to implement the deal on Iran's nuclear activities. The incursion was "unintentional", a statement from the Revolutionary Guards quoted by state media said. Earlier, the naval commander of the Guards, General Ali Fadavi, said investigations found a navigational failure was to blame. "We have concluded that passage of Americans in our territorial waters was not a hostile passage or for espionage or similar acts," he told Iranian television. A Pentagon statement said the Navy sailors had been safely returned, and that an investigation was under way as to how they entered Iranian waters. "Around the world, the US Navy routinely provides assistance to foreign sailors in distress, and we appreciate the timely way in which this situation was resolved," said Defence Secretary Ash Carter. The Tehran authorities have quickly accepted that the US patrol boats strayed into their waters by accident and the crews - according to Iranian State Television - have now been released. There are many conservatives and hardliners in both countries who would dearly love to sabotage the deal and consequently both governments may well have been eager to get this episode resolved as quickly as possible. US Secretary of State John Kerry called Foreign Minister Javad Zarif shortly after the incident. The pair developed a personal rapport during the nuclear talks. Pictures published on the Revolutionary Guards' website showed the group sitting on a Persian rug, with the one female member wearing a headscarf. US opponents of the nuclear deal, which will see Iran limit its nuclear activities in exchange for the lifting of sanctions, had expressed outrage at the sailors' detention. "Iran is testing the boundaries of this administration's resolve," said Marco Rubio, who is in the running to be the Republican party candidate. Iran's influential Revolutionary Guard - tasked with protecting the country's 1979 Islamic revolution - has strongly defended Iranian sea borders in the past. Fifteen British sailors and marines were held for 13 days in 2007 after they were captured in a disputed area between Iran and Iraq. Despite last year's breakthrough nuclear deal tensions remain between the US and Iran. In December, Iran's navy conducted rocket tests near US warships in the Strait of Hormuz, something the US called "highly provocative". When is 'implementation day'? Iran will not see the UN, US and EU sanctions lifted until the global nuclear watchdog, the International Atomic Energy Agency (IAEA), certifies that it has fulfilled its commitments under the deal. The precise date of the so-called "implementation day" has not been determined. But Iran says it has met those commitments earlier than expected and last week US Secretary of State John Kerry declared: "We are days away from implementation." Chiu Wai Yip, 58, told BBC News that just weeks after winning the Michelin honour in November, the shop's landlord more than doubled the rent from HK$100,000 ($12,900; £8,800) to HK$220,000 ($28,378; £19,400) a month. The events in Cologne and other cities over New Year have left a deep imprint in Germany. The stories of women running a gauntlet of sexual assault by young men have tapped into society's deepest fears. In just the city of Cologne, more than 500 cases of violence have been recorded, although not all were sexual attacks. The consensus in favour of accepting 1.1 million refugees was already fraying. Now the country is deeply uneasy and sharply divided. "Cologne has changed everything," said Volker Bouffier, vice-president of Chancellor Angela Merkel's centre-right CDU party. "People are now doubting." What happened during the first hours of 2016 is likely to have a profound impact on the rest of Europe. Certainly the boldness of the assaults and the sense of a powerless state will haunt the victims, but what has also been lost is trust - the essential glue in any society. There is now a widely held suspicion that the political elite is not being candid with the German public. There was the inexplicably bland initial police report describing the evening in Cologne as a "relaxed atmosphere. Celebrations largely peaceful". It was on social media that news of the assaults first seeped out. When the Cologne police chief said that many of the young men who had been outside the train station that night had been of North African or Middle Eastern origin, politicians and officials were quick to say they were not drawn from the migrants who in recent months had sought asylum in Germany. It took the better part of a week to acknowledge that asylum seekers were among the suspects. The police certainly knew the reality of who had been on the streets. On the night some young men had shown police their asylum documents. An internal police report describes a man telling the police: "I am Syrian. You have to treat me kindly. Mrs Merkel invited me". Certainly there is much that remains to be explained. Was this a co-ordinated event and, if so, who was behind it? The German justice minister believes it was organised, but for what purpose? Or was it just a gathering sparked by social media? It is also true that large public events like Oktoberfest have been marked by incidents of sexual assault without any migrants being present. Although the figures are not up to date, it does not appear so far that the crime rate among asylum seekers is higher than among similar groups in the native population. What has fuelled the sense of crisis is the suspicion - now widely held - that the German establishment is not telling the truth. The German public-service broadcaster ZDF did not mention the incidents in Cologne in its broadcast until last Tuesday, four days after the attacks. The broadcaster has now admitted it was a "clear misjudgement" and says that since then, it has been "over-whelmed with hate and anger". In parts of social media the idea of a "lying press" has taken root. Some German papers are quoting police sources saying they are under orders not to report crimes involving refugees. Many Muslims have spoken out against the assaults, but that has not stopped the main euro-sceptic party Alternativ fuer Deutschland warning against the disintegration of German culture. In the party's view, Angela Merkel has become a danger and Germany is being asked to compromise its basic values. The mayor of Cologne suggested it would be wise in future if women "kept men at arm's length". She insists her words were misunderstood. But there have been echoes elsewhere in Europe. The Viennese police chief Gerhard Pursti said that "women should in general not go into the streets alone in Vienna." This has caused an outcry, with women complaining that they are being asked to change their behaviour. Many of them feel torn; they are outraged but they don't want to lend any support to racist groups. Certainly Angela Merkel was quick to understand that these assaults threatened her whole refugee policy. Very early on in the crisis she said that "women's feeling of being completely defenceless is intolerable, also to me personally". She went on to say that "when crimes are committed, there must be consequences." The German government is examining changing the law to make it easier to deport those convicted of sexual assault but it is unclear how a refugee who has come from Syria could be deported back there. So pressure will build on Mrs Merkel to limit the numbers of refugees arriving. Already some of her political allies have demanded that. She has resisted but her political authority has been weakened by these events. In the short term, she has enough political capital to withstand the pressure but she will face further tests in the spring. There are three state elections and members of her party will watch closely how the CDU fares. And then, of course, the question is whether the warmer weather will increase the numbers arriving. Chancellor Merkel's long-stated belief is that migration is not a German problem, but a European one. It is not seen that way in parts of Eastern and Central Europe. An EU plan to implement quotas, to relocate refugees across the member states, has failed so far. Only a few hundred refugees have actually been moved. Mrs Merkel has placed a huge bet on Turkey helping to stem the flow of migrants in exchange for financial help and granting people from Turkey visa-free travel in parts of Europe. This week, senior European officials could not disguise their frustration with Turkey; they have seen little evidence of migrants being turned around at the Turkish border. Mrs Merkel has said that the passport-free zone, guaranteed by the Schengen agreement, can only work "if there is joint responsibility for protecting the external borders". It is hard to see how that will happen and, in any event, what is being talked about is an orderly system of registering those who qualify for asylum. It is not about reducing numbers. In the meantime checkpoints, border patrols and fences are springing up in different parts of Europe. Only this week border identity checks were introduced on the Oresund Bridge linking Sweden and Denmark. It is the first time since 1958 that there have been border controls between the two countries. Denmark has introduced checks on its border with Germany. Austria is reinforcing its border. Italy is considering controls on its border with Slovenia. Hungary is helping Macedonia to build a fence. In the short term, both Brussels and the European establishment portray these measures as temporary. Certainly Europe's leaders will do all in their power to defend the Schengen guarantee of freedom of movement, a key pillar of European integration but the migrant crisis is not receding. Even in mid-winter, 3,000-4,000 migrants are arriving each day in Germany. So already in these early days of 2016 the debate about the wisdom of sanctioning large-scale migration in Europe has been re-kindled. Mrs Merkel herself - in the past - has questioned whether integration is working. Once again there are fears of parallel societies taking root with different cultural rules. You can sometimes feel that in the banlieues around Paris or in parts of Brussels. But then in parts of London, you see groups of young people hanging out together - regardless of background or creed. The question for Germany is not just how to protect women without curtailing their lives but how to restore trust with ordinary Germans that they are being told the truth. It is a question that resonates across Europe. It is hard to think of a series of events so likely to feed the narrative of Europe's anti-establishment and populist parties that an elite is misleading the people. David Bowie was one of the most influential musicians of his time, constantly re-inventing his persona and sound, from the 1960s hippy of Space Oddity, through Ziggy Stardust and the Thin White Duke to his later incarnation as a soulful rocker. Where before, artists and groups either evolved their musical style and appearance or remained unchanging, David Bowie seemed to be in permanent revolution. He defied any label. Music, fashion, sexuality: all were Bowie's playthings. He was truly an artistic chameleon. Bowie was born David Jones in January 1947 but reinvented himself as David Bowie, in 1966, in order to avoid confusion with the Monkees' Davy Jones. He went on to study Buddhism and mime, and released his first album, the World of David Bowie, in 1967. But it was the title track of his second album, Space Oddity, which aroused more than passing interest. The atmospheric tale of an abandoned astronaut, Major Tom, orbiting the Earth, Space Oddity became a hit in 1969, the year of the first Moon landing. Initially a hit throughout Europe, it took four years to "break" the United States. Bowie followed up this initial success with The Man Who Sold the World, a complex album, whose title track has been covered by artists as diverse as Lulu and Nirvana. His second album of 1971, Hunky Dory, was arguably Bowie's first great work. Its 11 songs, including the haunting Life on Mars? and Oh, You Pretty Things, redefined serious rock for the 1970s generation. And a line from Hunky Dory's final track, The Bewlay Brothers, seemed to perfectly sum up David Bowie, "chameleon, comedian, Corinthian and caricature". The following year saw the release of The Rise and Fall of Ziggy Stardust and the Spiders from Mars, a superbly-executed concept album which included hits like Starman, Suffragette City and Rock 'n' Roll Suicide. The album's huge popularity and the accompanying tour, featuring Bowie as the sexually ambiguous Ziggy, brought him worldwide stardom. By now married to the former Angie Barnett (divorced in 1980) and with a young son, Zowie (now Joe), Bowie was a hedonist of breathtaking scale, living a rock and roll lifestyle fuelled by drink, drugs and vigorous bisexuality. Having killed off Ziggy, 1973 brought Aladdin Sane, which cemented Bowie's reputation in the United States. Songs like Cracked Actor explored the dark, seedy, side of fame, while Jean Genie was an old-fashioned rocker. As well as writing and performing, Bowie now branched out, producing Lou Reed's Transformer album and writing and producing Mott the Hoople's hit single, All the Young Dudes. While he was touring with his next album, the apocalyptic Diamond Dogs, David Bowie recorded the Young Americans album in Philadelphia. This dalliance with "plastic soul" continued on the album Station to Station and brought Bowie hits including Golden Years, Knock on Wood and his first US number one single, Fame, co-written with John Lennon and Carlos Alomar. But, once more, David Bowie changed direction, moving to Berlin and working on a triptych of albums, Low, Heroes and Lodger. Produced in collaboration with Brian Eno, these dense works were perhaps the most experimental of Bowie's career, mixing electronic sounds and avant-garde lyrics to produce a radical, and influential, song cycle. The late 1970s saw Bowie concentrating on acting, starring in Nicolas Roeg's The Man Who Fell to Earth and opposite Marlene Dietrich in the lamentable Just a Gigolo. The critically acclaimed Lodger album was followed by Scary Monsters, notable for its groundbreaking video accompaniment and the single Ashes to Ashes, which updated the story of Major Tom. But 1983 saw a new, driven, David Bowie return to form with the Let's Dance album. Hits like China Girl and Modern Love, coupled with the spectacular Serious Moonlight world tour, introduced Bowie to a whole new generation. And his 1985 duet with Mick Jagger, a cover version of Martha and the Vandellas' Dancin' in the Street, was a major factor in the success of the Band Aid project and its accompanying Live Aid concert. Bowie returned to acting, playing the lead in The Elephant Man on Broadway as well as typically exotic characters in the films Cat People and The Hunger. This project, which was designed to allow Bowie to re-examine his rock 'n' roll roots, produced two albums of questionable quality and was panned by the listening public and critics alike. The 1990s saw David Bowie flirting with drum-and-bass on the Earthling album, setting up his own highly popular website and debuting on Wall Street with the Bowie Bond, sales of which netted him $55m. The 2002 album Heathen saw a long-awaited return to form for the indefinable master of rock style, and the man who, throughout his long and varied career, influenced everyone from Iggy Pop to Boy George. After a decade without a studio album he released The Next Day in 2013, surprising fans who thought he had retired. It became his first UK number one for 20 years. His latest album, the critically acclaimed Blackstar, was released on his 69th birthday, just days before his death. news today : With severe droughts and rising populations, we will have to accept “toilet-to-tap” schemes. Cities like Perth in Australia are leading the way. It's been called "toilet-to-tap" – much to the chagrin of water experts and managers. In some parts of the world, the wastewater that flows down the drain – yes, including toilet flushes – is now being filtered and treated until it's as pure as spring water, if not more so. It might not sound appealing, but recycled water is safe and tastes like any other drinking water, bottled or tap. "If anything, recycled wastewater is relatively sweet," says Anas Ghadouani, an environmental engineer at the University of Western Australia in Crawley. Still, for some people, the prospect of drinking recycled wastewater is literally hard to swallow. But spurred by drought and growing populations, many cities are already incorporating recycled wastewater into the water supply. Not only is recycling becoming a necessity, a sustainable water future will demand it. So if you aren't already drinking recycled wastewater, you soon will be. "It's a no-brainer," Ghadouani says. "It's what's going to happen." Wastewater is much more than toilet water, of course. Think of all the water that goes down the drain every time you rinse an apple or hose off your car. That water is an untapped resource, and there's a lot of it. 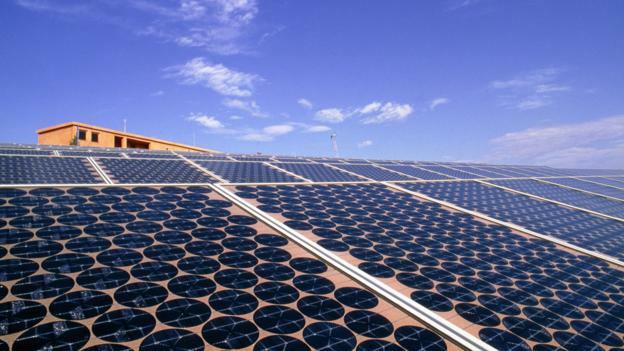 "It is cheaper; it is a guaranteed resource," says Peter Scales, a chemical engineer at the University of Melbourne in Australia. If an average city recycled all its wastewater, he says, it could reduce how much water it needed by 60%. Recycling wastewater for irrigation and other non-drinkable uses is already commonplace. It’s actually the same technology used to treat drinking water supplies that have become contaminated – and it’s been around for years. First, you have to filter out all of the solids and other gunk in the water. Then, in a process called reverse osmosis, you filter out the tiniest of particles. And as an extra precaution, the water is often flashed with ultraviolet light to sterilise pathogenic microbes. "We can supply water in a very pure state – purer than what they currently get out of reservoirs and rivers," Scales says. But inevitably, there's a "yuck" factor. Recently, psychologist Paul Rozin of the University of Pennsylvania in the US and a team of researchers surveyed 2,000 Americans, finding that while 49% were willing to try recycled wastewater, 13% refused, and the rest weren't sure. For some people, no matter how much you tell them the water is safe to drink, the feeling of disgust is too much to overcome – even in the direst of situations. In 2006, for example, a drought-stricken city in eastern Australia named Toowoomba tried to implement wastewater recycling. But the effort was a political disaster, as 62% of voters rejected the plan in a referendum. "Water recycling is enormously powerful, but it's politically a real problem," says Scales. Dwindling water supplies forced Toowoomba officials into a desperate situation, and they tried to introduce wastewater recycling without giving people time to get used to the idea, says Clare Lugar, a spokesperson for the Water Corporation, the water company for Perth and Western Australia – a region that's been experiencing drought for 15 years. 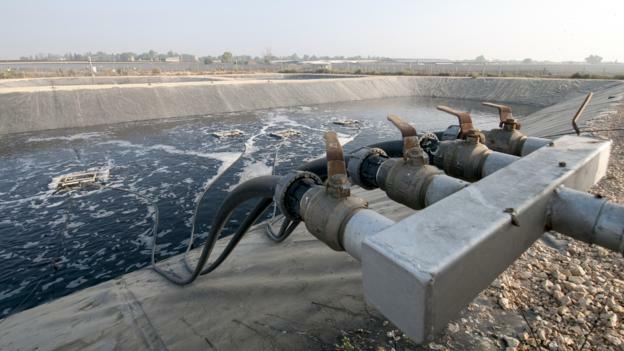 The corporation has been integrating wastewater recycling into its own supply. But it's taking a lesson from Toowoomba and going slowly. Western Australia is already one of the driest places on Earth, and climate change has likely made it worse. "It's sort of a hotspot for drought," Ghadouani says. "That's what the models predicted, and that's exactly what's happening." Last year, for example, Perth's dams received only 72.4 billion litres of water – less than a third of what's needed. To alleviate the drought, the Water Corporation turned to desalination in 2006, using offshore plants to convert salt water into fresh. Desalination is expensive, but effective. Today, desalination accounts for 39% of the region's water supply. Groundwater provides 43%, and reservoirs supply the rest. But with continuing drought and an increasing population, recycled wastewater would provide extra security at less cost. The corporation is modelling its approach on what Orange County, California, is doing: pumping recycled wastewater into aquifers to replenish the ground supply. The aquifers provide free storage, which would otherwise be expensive, and act as a psychological buffer to minimise the "yuck" factor. Even though the water is already drinkable, some people feel the water gets naturally purified through the ground. In 2012, Water Corporation finished a three-year trial in which it recycled millions of litres of water and tried to change hearts and minds about the process. It built a visitor's centre and representatives gave tours of the water recycling plant and spoke to various local government, community, and Aboriginal groups. This grassroots approach appears to be working, as surveys consistently show 70% support. "Our success has been more about the community engagement and getting that right," Lugar says. They're now ramping up their capabilities, having recycled 10 billion litres in Perth from 2013 to 2014. Next year, the Water Corporation will unveil a full-scale plant that can routinely recycle 14 billion litres of water annually, and up to 28 billion if needed. Eventually, recycled wastewater could provide 20% of Perth's water supply. The combination of recycling, desalination, and – perhaps most importantly – conservation is helping to make Perth drought-proof. "We've become a case study internationally for other countries in terms of how we've managed our response to the drying climate," Lugar says. That kind of multi-faceted approach is crucial. For example, Scales says, another untapped water source is rain, and if you recycle wastewater and collect all the storm-water that drains into the gutter, you could provide water for an entire city. But making people comfortable with recycling and building the infrastructure to collect storm-water would take years or even decades. "Trying to do augmentation from something like wastewater or storm-water in the middle of a drought is not going to get you there," he says. "You need to actually do it across a period of time where the population assimilates to it. And then they just use it." Places like Singapore, Belgium, Windhoek in Namibia, and Wichita Falls in Texas have all begun recycling wastewater. Eventually, due to growing populations, so must the rest of the world – regardless of drought or climate change. "There's no choice," Scales says. International scepticism and condemnation have greeted North Korea's claim to have successfully carried out an underground hydrogen bomb test. If confirmed, it would be North Korea's fourth nuclear test since 2006 and mark a major upgrade in its capabilities. But nuclear experts have questioned whether the size of the blast was large enough to have been from an H-bomb. UN chief Ban Ki-moon condemned the test "unequivocally", calling it "profoundly destabilising for regional security". The UN Security Council is gathering now for an emergency meeting. South Korea called the test a "grave provocation" but said it was difficult to believe it was an H-bomb. Hydrogen bombs are more powerful and technologically advanced than atomic weapons, using fusion - the merging of atoms - to unleash massive amounts of energy. Bruce Bennett, an analyst with the Rand Corporation, was among those casting doubts on Pyongyang's test: "The bang they should have gotten would have been 10 times greater than what they're claiming. "So Kim Jong-un is either lying, saying they did a hydrogen test when they didn't, they just used a little bit more efficient fission weapon - or the hydrogen part of the test really didn't work very well or the fission part didn't work very well." The data "doesn't support suggestions that the bomb was a hydrogen bomb", Chinese military expert Du Wenlong told state broadcaster CCTV. A South Korean politician, Lee Cheol-woo, said he was briefed by the country's intelligence agency that the blast "probably falls short" of a hydrogen detonation. But former British ambassador in Pyongyang John Everard warned "an explosion of that size is quite enough to wipe out a city and I think that, of course, is deeply worrying". The US said it would "respond appropriately to any and all North Korean provocations"
Heading into the UN meeting, Mr Ban said the test was "deeply troubling and "a grave contravention of international norms". The UK ambassador to the UN, Matthew Rycroft, said: "We will be working with others on a resolution on further sanctions." The rhetoric from the North Korean media was spectacular, announcing the country had carried out a "world startling event" - the underground test of a hydrogen bomb. "People of the DPRK are making a giant stride, performing eye-catching miracles and exploits day by day," state media said. That North Korea is still living with its predictable 1950s post-Korean War world view, where the US is the prime aggressor, was made clear too. "The US is a gang of cruel robbers which has worked hard to bring even a nuclear disaster to the DPRK." But despite the rhetoric, outside experts are sceptical about how much of a giant stride had been made. What is not in doubt is the determination of Pyongyang to go down the nuclear path despite widespread condemnation the last time it tested a device. Suspicions first emerged when an earthquake was registered near the Punggye-ri nuclear site in North Korea at 10:00 Pyongyang time (01:30 GMT), with the tremors rattling Chinese border cities. Hours later, in a surprise announcement, a newsreader on North Korean state TV said: "The republic's first hydrogen bomb test has been successfully performed at 10:00 am on January 6, 2016." A note signed by North Korea leader Kim Jong-un authorising the test said 2016 should begin with the "stirring explosive sound" of a hydrogen bomb. It could be days or weeks before independent tests are able to verify or dismiss the recent claim. Both China and Japan are reported to have been trying to detect radiation. North Korea carried out the first of its three previous nuclear tests in 2006, making it one of the few nuclear-armed nations on Earth. Can North Korea now launch a nuclear missile? Despite North Korea's claims, experts are sceptical that North Korea can make a nuclear weapon small enough to fit on a missile. What do we know about the latest test? Observers agree a nuclear explosion of some kind took place and it seems to have been a bit bigger than the last test in 2013, but not nearly big enough to be a full thermonuclear explosion - an "H-bomb" - as Pyongyang claims. Why can't the world stop North Korea? North Korea has a determination to defy both world opinion and heavy sanctions to reach its nuclear goal. Crucially, its main ally, China, has proved either unwilling or unable to help.